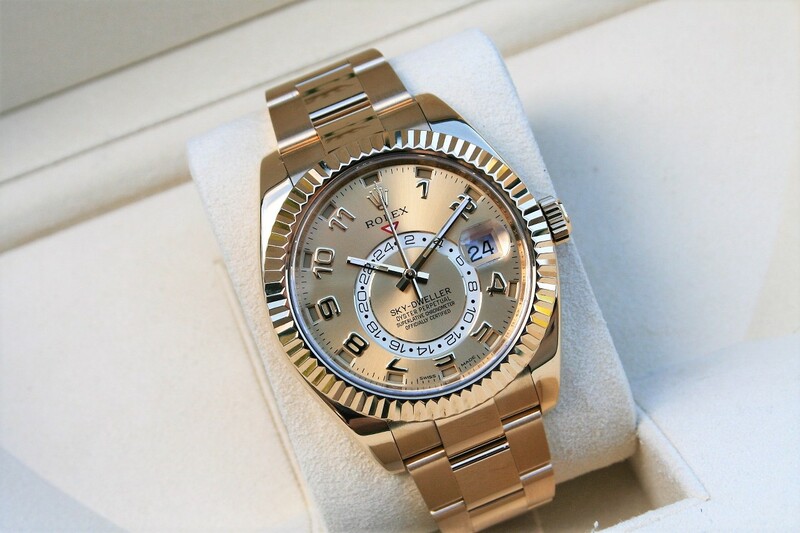 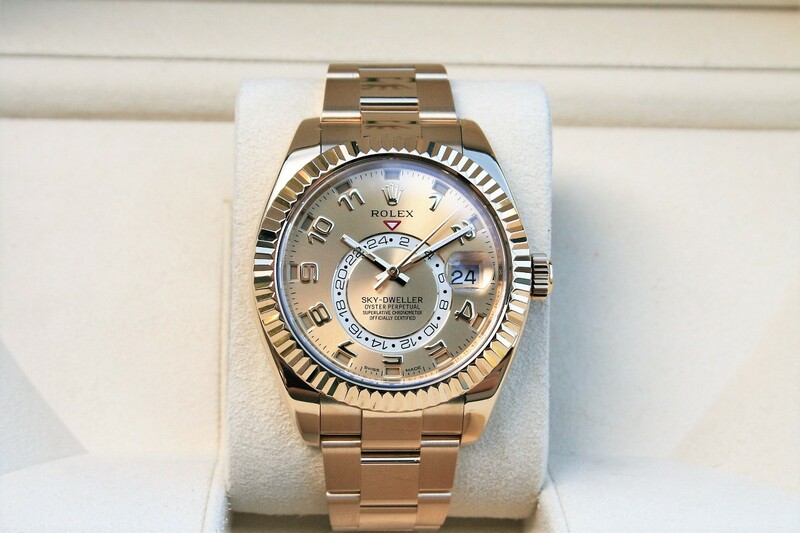 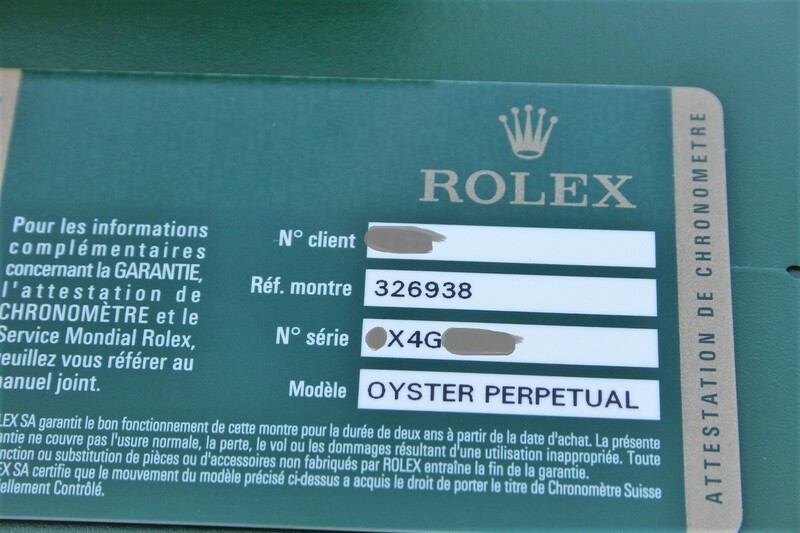 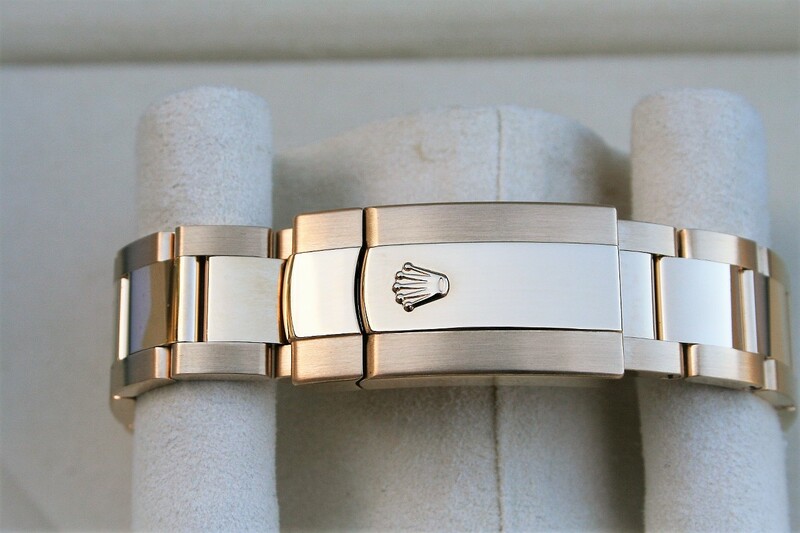 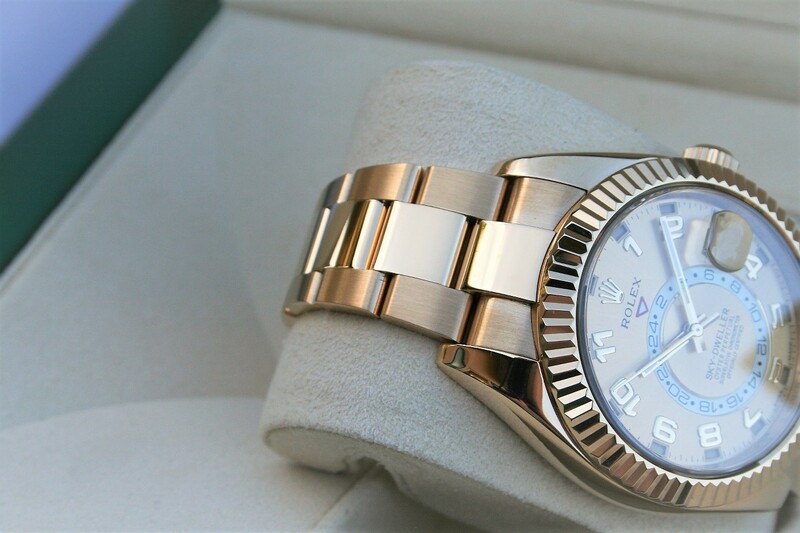 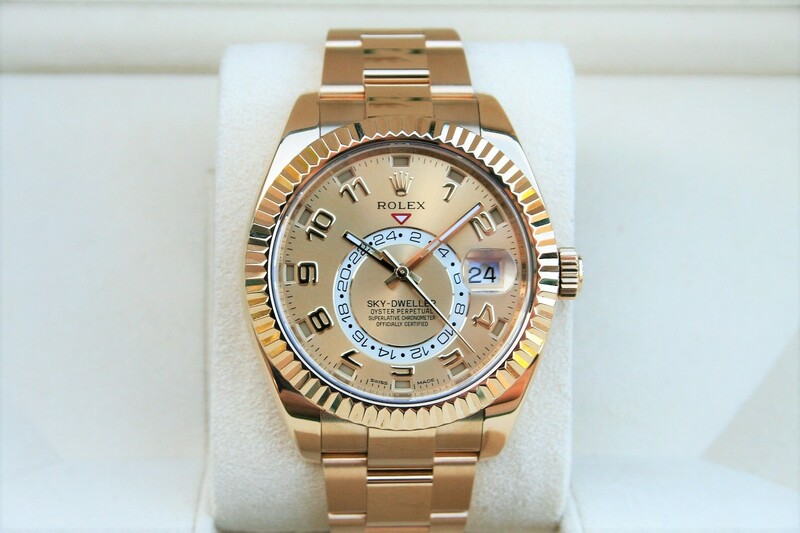 I am selling a Rolex Sky-Dweller model 326938 in near mint 96% condition. 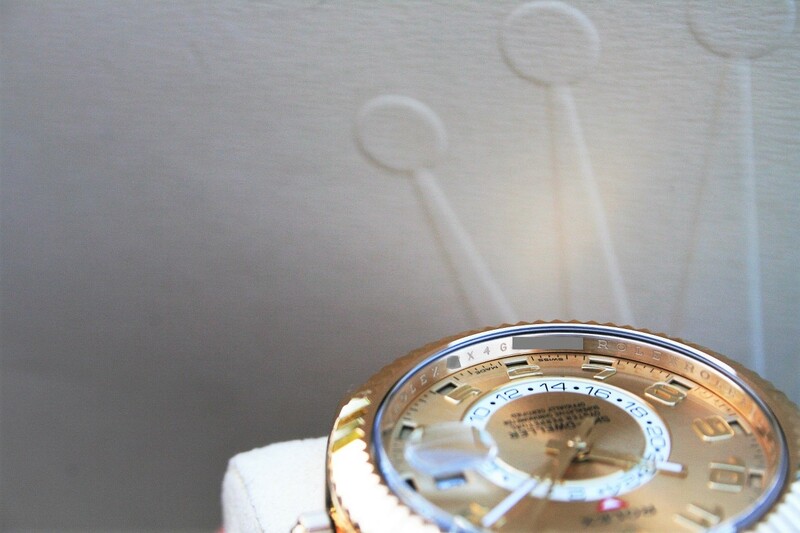 The watch comes in 18k Yellow gold with the Arabic Champagne Dial. 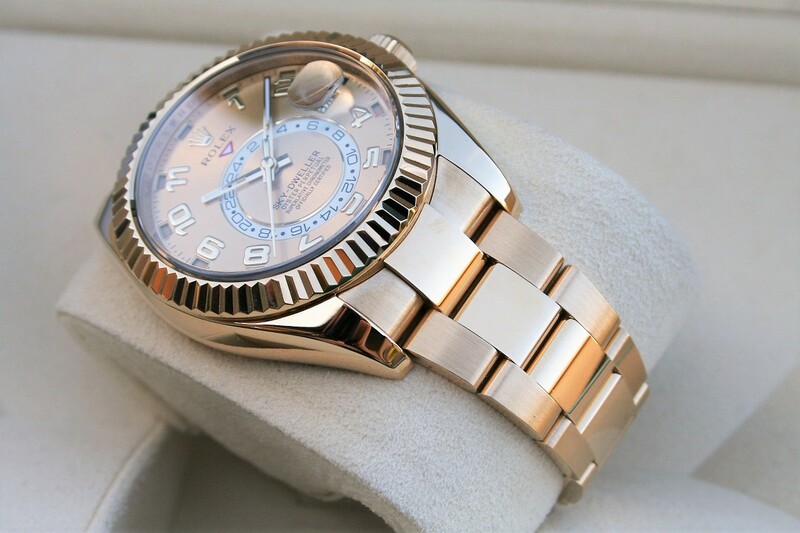 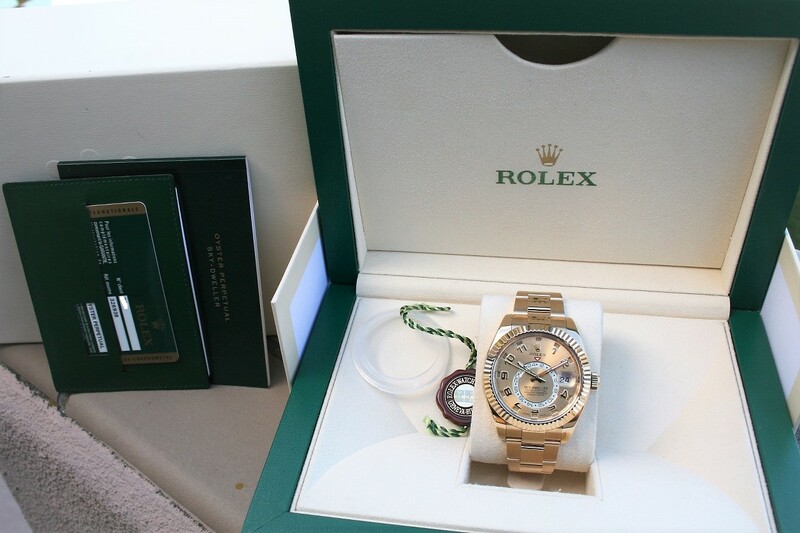 This Skydweller comes with box and paper as seen in pictures.